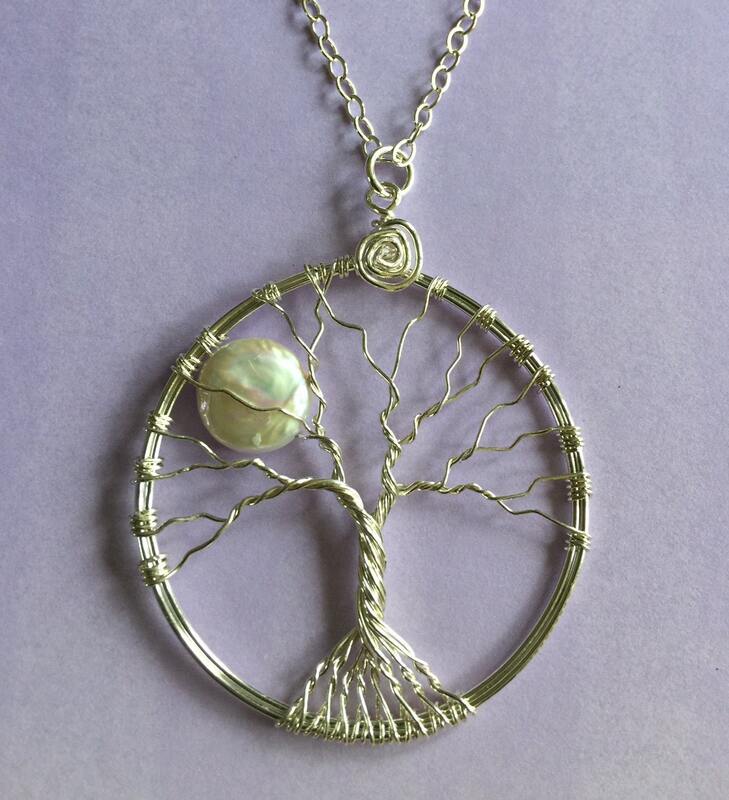 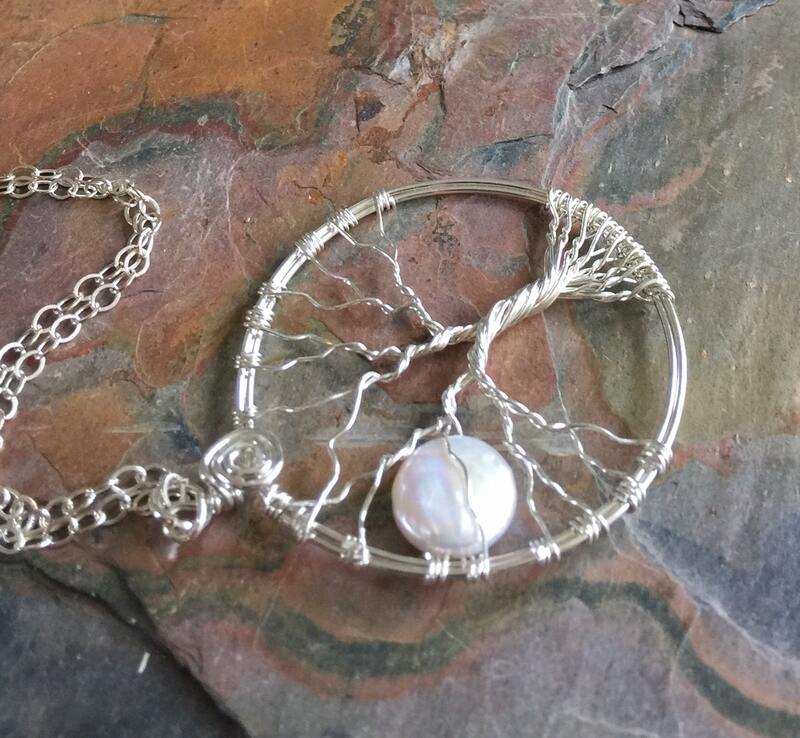 This Moon Tree of Life pendant is made with 10 mm freshwater coin pearl using .925 sterling silver wires for the outer circle, tree trunk & branches. 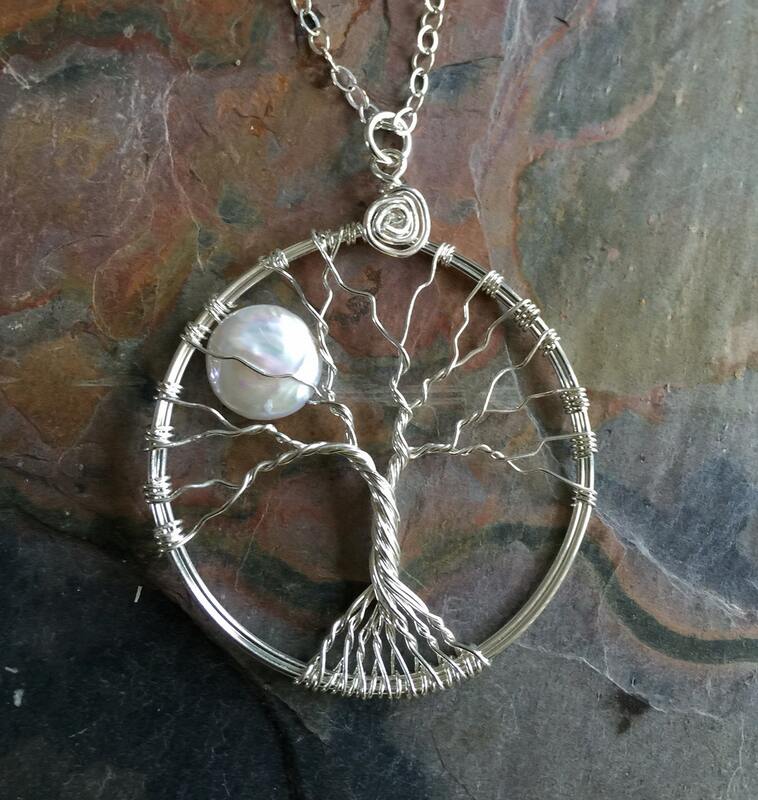 ~~The pendant measures 1-5/8 inch( 42mm) in diameter. 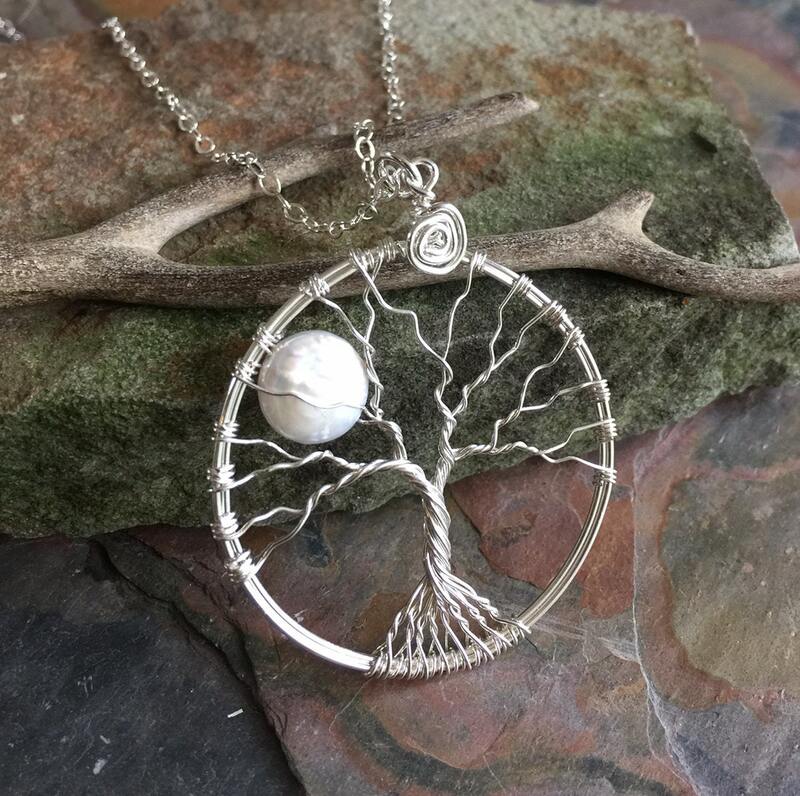 This beautiful pendant comes with a .925 sterling silver chain & finished with a lobster clasp.